Since takeover of all of common shares of Showa Yakuhin Kako Co., Ltd., a major company of dental drug manufacturing and distribution, in September 2016, GC Corporation has been working on further growth as a comprehensive manufacturer and supply of high-quality products to clients by a synergy effect of the dental drug business which has been built up by Showa Yakuhin Kako Co., Ltd. and our dental materials and equipment business. 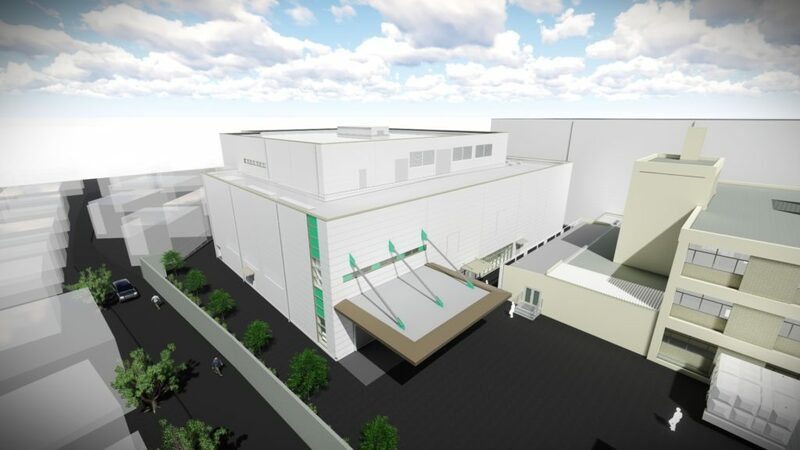 We have made a decision to build a manufacturing plant (Project: Three-story building with total floor area of 5,358 m2) for drugs and medicines including sterile products in Kawasaki city, Kanagawa prefecture as a new dental manufacturing building project in Showa Yakuhin Kako aiming to further expand our dental medical product business. Consideration has been underway to start the construction in January 2018 aiming for its completion in May 2019 by requesting the design and construction to Chiyoda TechnoAce Co., Ltd., a company with a long history and experiences in medical product manufacturing plant construction. GC aims to complete a manufacturing plant in which improvement and reform activities are promoted with an effort to share information between employees in general area such as meeting rooms by realizing a building concept, “Communication Loop” which has been developed globally by us, while achieving high-level manufacturing and quality control in compliance with various domestic and overseas laws and regulations within the manufacturing area. GC has determined to make all efforts to achieve our goal, Vision 2021 “Challenge to become the No.1 dental company in the world through making further contribution to the healthy long-living society”, while pursuing further growth in each business by way of synergy effect of group companies.